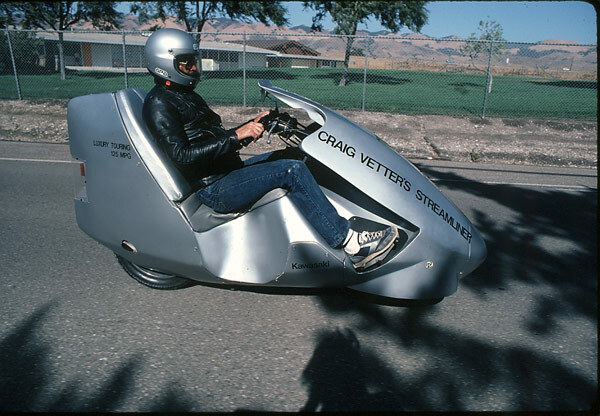 1981: The Vetter Streamlined "High Mileage Luxury Touring Bike"
In 1964, when I began designing, motorcycles got 43 miles per gallon and cars got 10. 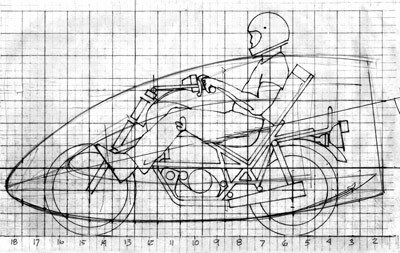 It is why I designed for motorcycles. But by the early 80s, motorcycles were getting less while cars like Honda's Civic were getting more. This was embarrassing to me. Where was our advantage? 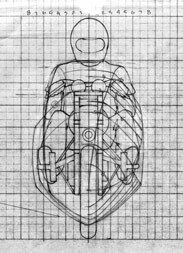 I decided to design and make a very high mileage motorcycle with a twist: It would also incorporate maximum comfort and storage. Thus, "High Mileage Luxury Touring Bike". 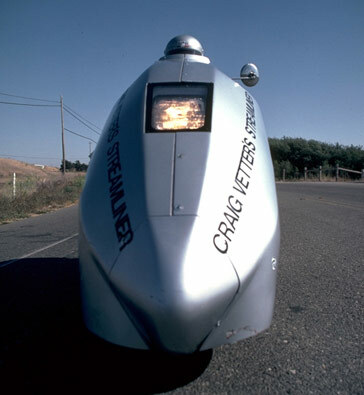 This led to the "Craig Vetter Fuel Economy Runs" of the 1980s. Which led to 470 miles per gallon. 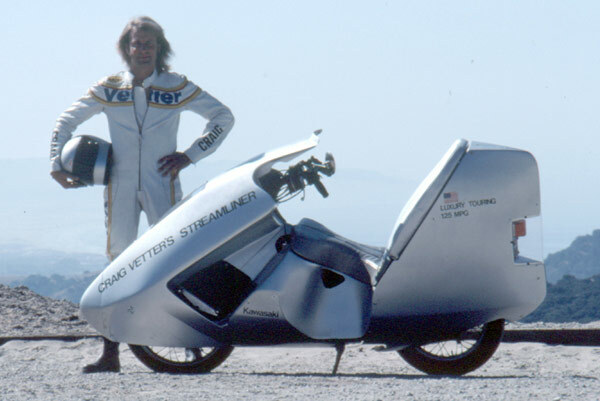 This machine is now in the AMA's Hall of Fame Museum. Notice that we moved the foot controls up front alongside the front wheel. 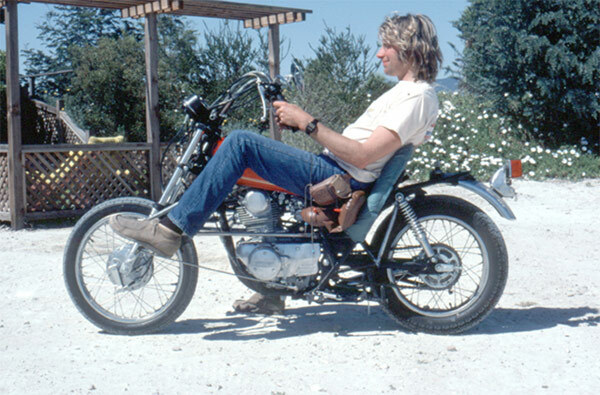 In 1981, thought that 250cc would be the right size engine to push a man down the road at real highway speeds. Kawasaki generously donated a couple of single cylinder four stroke KZ250s. The first step was to hack it up so as to get the rider into a comfortable position. For me, it is the "Lazy-Boy" recliner attitude. So, I put myself in that position and re-arranged the little Kawasaki to hold me. 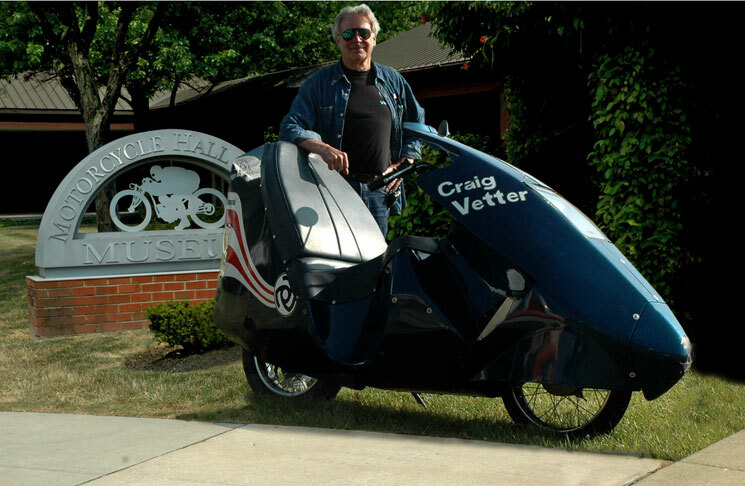 Bob Seim was my fabricator on this project. I reclined and Bob cut and welded the bike around me. Note the forward controls. I took photographs front, side and from above and simply drew the smallest streamlined shape around myself. It was important that this machine be comfortable and be easy to get on and get off. The big indentations below the seat are for my legs to hold the thing up at stop signs. Equally important is storage. 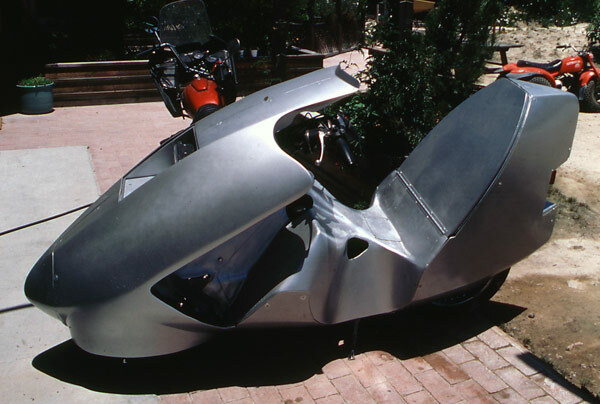 The entire rear section is accessible by folding the seat back forward. 125 Miles per gallon on the highway! We found that the streamlining allowed us to gear it up since the engine was not working so hard. We also learned that it is foolish to put in smaller jets. The machine gave best mileage with the engine left stock but geared up. This was one heck of a touring machine! It did not take long for cpmpetitors to do much better than this. We soon learned that 125-200 cc four stroke engines have enough power and with those size engines, the frames and wheels - everything - is lighter. Well, we have to begin somewhere. 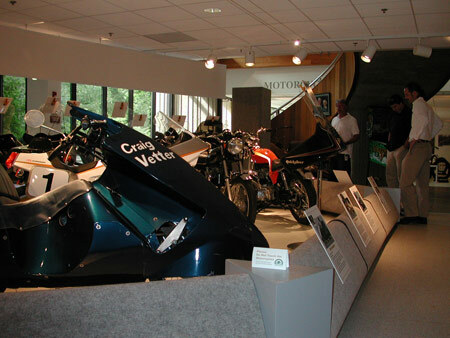 The Vetter Design Collection, including this Streamliner, is in the AMA Hall of Fame Museum in Pickerington, Ohio. 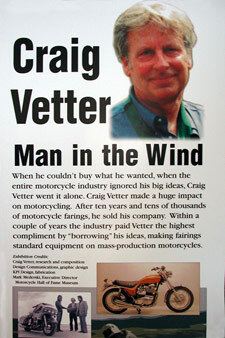 In 2002, it was a part of the "Man in the Wind" exhibit.